Problem getting email from Contact page. Sorry everyone. I have been struggling to get the "contact" form to work. Only today that it is working and i'm getting those emails. There are various people who are trying to contact me. My sincere apology to those who I have missed out. I'm terribly sorry. I will make sure this will not happen again. Was trying something new. This time around photoshoot at studio. I love studio I can tell you. Below are some photos to share with you all. 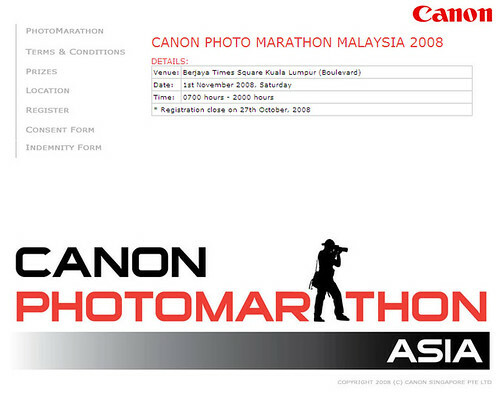 Canon Photomarathon Asia 2008 is back. For those who do not know about the competition, the photomarathon is a competition to go around town to capture images based on the theme given. Normally there will be 3 themes given. Hope to see you there !